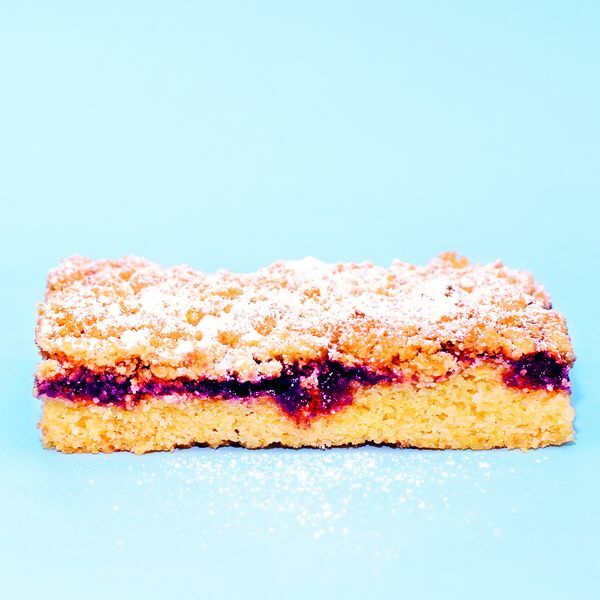 Blueberry Shortbread Bars from The Lunchbox Book. These sweet treats are perfectly sized for your lunchbox. 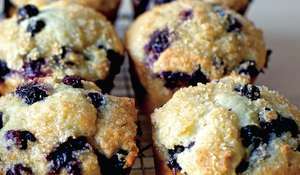 Easy to bake, store and transport these buttery blueberry snacks will give everyone in the office lunch envy! They make an excellent pick-me-up. 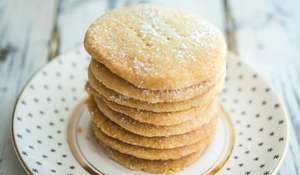 Admittedly this recipe isn’t faithful to the traditional, buttery Scottish biscuits that crumble delicately in the mouth. 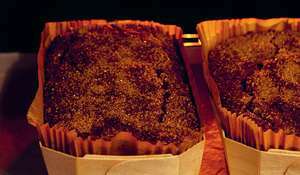 But the end result is just as crumbly and delicious. 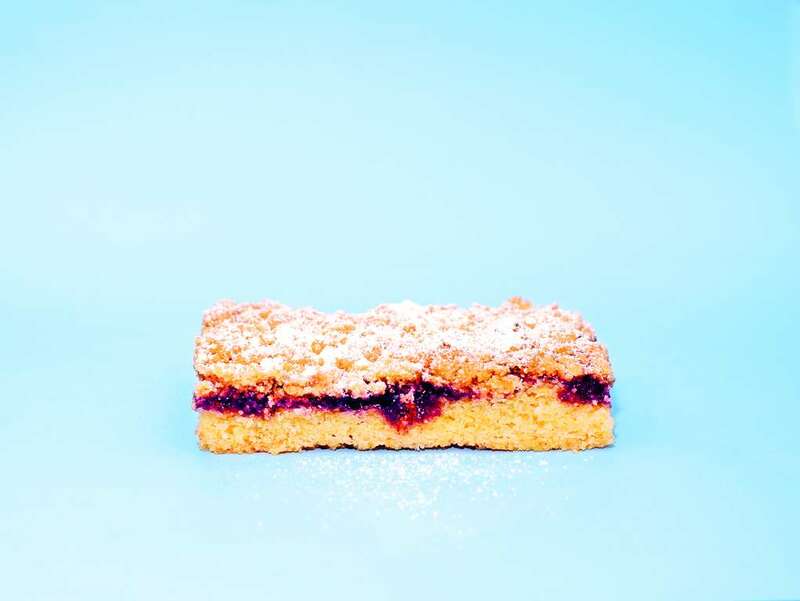 Sandwiched between crisp pastry and a crumble topping is a tart blueberry filling, making these bars the perfect sweet snack for travelling. 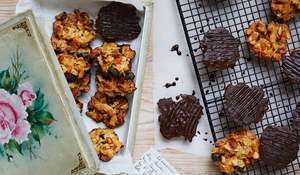 You will need a a 20 x 28cm (8 x 11in) baking tin. 1. Preheat the oven to 180°C (350°F/Gas 4). Grease a 20 x 28cm (8 x 11in) baking tin with a little butter. 2. 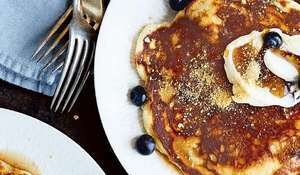 Put the sugar, egg, butter, flour, baking powder, salt, and lemon zest into a bowl, and combine with your hands into a light, crumbly dough. 3. Place about three-quarters of the dough into the tin and press down to form a firm base. Spread the jam on top of this and then crumble the remaining dough over the top. 4. Bake on the middle oven shelf for about 35 minutes, until golden brown. After 25 minutes, cover the tin with foil, so that the crumble topping doesn’t get too brown. 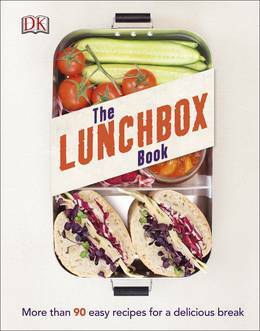 The Lunchbox Book is dedicated to making your lunchtime a more enjoyable and delicious experience, right the way through from the planning to the eating.